I'm sure many of you have noticed the Latina Smart badge proudly displayed on my sidebar, and many of you remember me sharing the announcement that I had been selected as a Kmart Latina Smart Brand Ambassador which entailed juding the allocation of $25,000 in scholarship funding (you can read that post HERE if you missed it the first time), but another part of what my ambassadorship entailed was helping to grow the Latina Smart community on Facebook. I've spent years building my own empowerment community and I thought the hardest part of the process would be judging the scholarship entries, and while the scholarships contest was the foundation of how the community began to grow, it is the Ambassadors and Facebook Page Moderators that helped foster, sustain and continue to grow it, with incisive questions to the community to provoke thought and seasonal sharing such as share your favorite summer vacation photo, as well as members sharing information with another that helped the community to flourish. Do I consider myself Latina? Definitely! Do I consider myself Smart? I'd like to think so! But being part of a community that helps Latina's re-define for themselves what that means has been both challenging and empowering. It's helped me to re-define not just what those specific things mean to me, but to allow me to look at my life and my goals a lot more strategically. I'm going to be taking what I learned into this upcoming new year, re-defining what I think I know about myself as a writer, as a blogger, and as an empowerment coach and community builder and making myself better and more efficient, which only benefits Ascending Butterfly (and other communities I am involved in) to grow stronger. Ƹ̵̡Ӝ̵̨̄Ʒ - Sharing resources and information blesses everyone (including YOURSELF). Ƹ̵̡Ӝ̵̨̄Ʒ - You are not the only one going through something, sharing it, helps you work through it. Ƹ̵̡Ӝ̵̨̄Ʒ - There really is power in numbers, when you ask for advice, within the many perspectives you receive, it does help you to see things in a brand new way and tackle an idea, creative project or an even a problem you couldn't before resolve, in a much different way. Ƹ̵̡Ӝ̵̨̄Ʒ - A community can only grow when everyone contributes their fair share. While it seems obvious, take these lessons about community and apply them to your own, be it your place of work, your place of worship, your neighborhood, or your family, you can approve any area of your life with focused effort, purpose, and a spirit of sharing and giving. Which is also an incredible thing to take with you when visiting family for the holidays. It really doesn't have to be the drama and fight fest that most people dread. A community is a call to action to be of service, do so graciously, and you will derive way more from it, than you give to it. 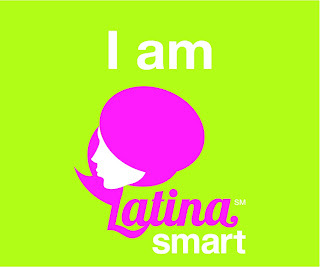 I look forward to seeing how this community grows, evolves and develops in 2012, I am proud to be a member of the Latina Smart Community, and I am proud to be an Ascending Butterfly. My butterflies have taught me so much about inspiration and encouragement that I was able to take those lessons with me to another empowerment community and share in it's growth. In being part of both my own community of inspiration seekers and the Latina Smart Social Media community on Facebook and Twitter I have learned to continue to give the best of myself and receive such amazing blessings and opportunities in the process. This experience was absolutely amazing. Getting inspired and empowered by all these great women has open my eyes and mind to many great incredible exciting chapters that are yet to be written in my life. @Jessie I love it! There are certainly many great chapters yet to be written in my life, I have a strong feeling that this is going to be an AMAZING year!